NewPavis1.jpg Copyright © 2017 Simon E. Phipp, but based on copyrighted Chaosium originals. All maps of New Pavis are based on Chaosium originals and no challenge to their copyright is implied nor intended. 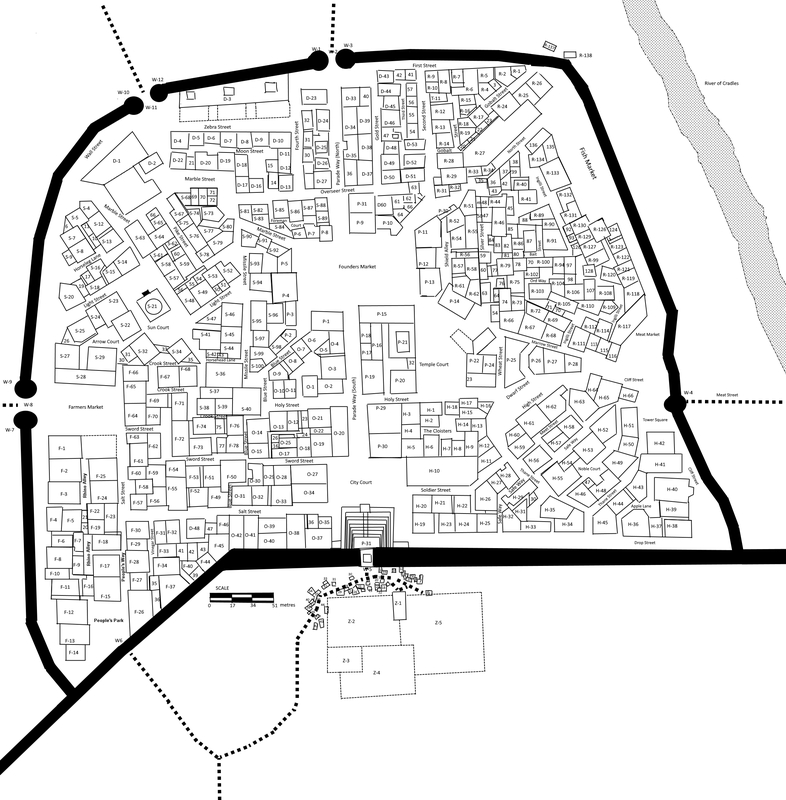 Below is a map of New Pavis, based on Chaosium originals. Where possible, I have corrected filled in some gaps. you might want to Zoom to 250% to see more detail. There is an image map behind the map, so move your mouse over a building to get a description of what is in the building. Click on a building to go to the New Pavis Locations Page. Locations marked with four diamonds ❖ symbol are Wealthy Residents, potentially of interest to thieves and edventuring parties. This was suggested by Byll on basicroleplaying.org. Here is a copy of the map without numbers.